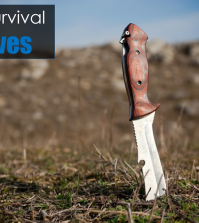 Home > DIY SURVIVAL SKILLS > DIY Survival Gear > What is Your Outdoor Knife Choice? What is Your Outdoor Knife Choice? 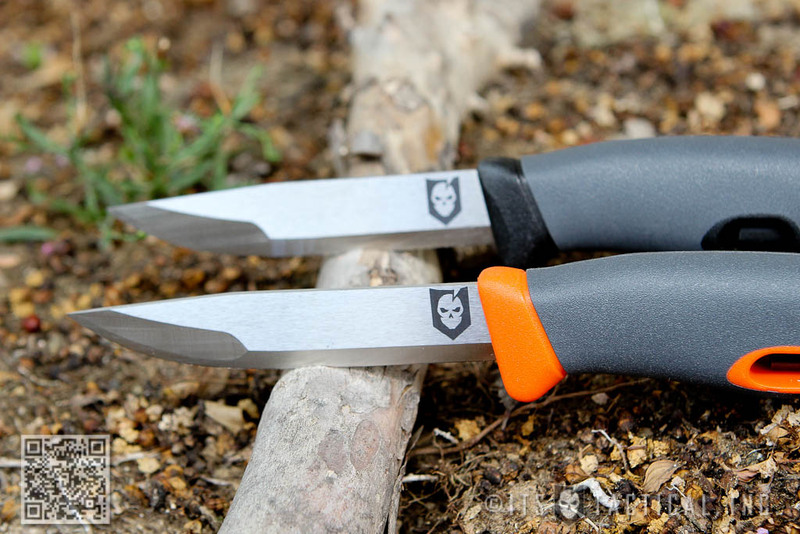 How Much Knife Do You Really Need in the Great Outdoors? One of the questions that I get asked over and over again is; “what’s a good knife for backpacking?” My typical answer is an obvious but often frustrating one, “it depends.” I’m not trying to be a jerk about it, but asking what knife is good for backpacking or hiking doesn’t exactly allow for a one size fits all response. Putting aside everyone’s personal knife preferences for just a minute, there’s still the important question of what you intend to use the knife for when in the back country. 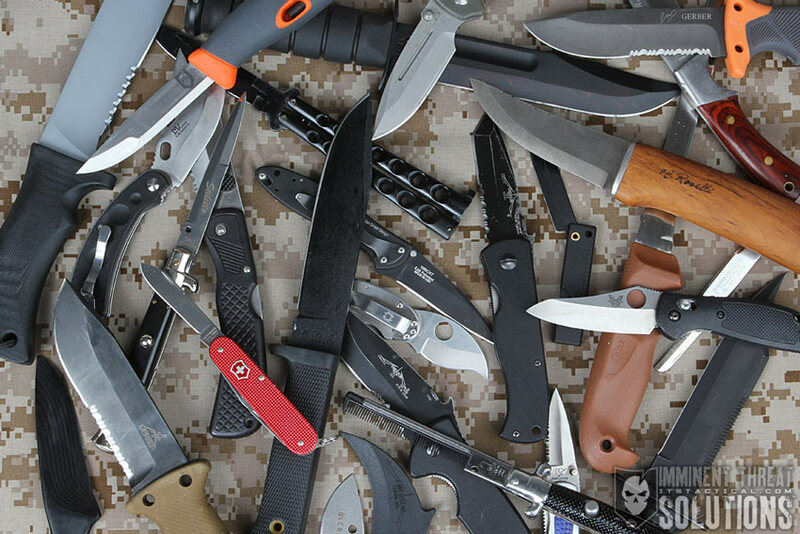 Unfortunately, a lot of people have unrealistic expectations or pseudo-romantic notions of what they might need to use a knife for while out hiking on the trail. Those expectations, right or wrong, also tend to influence their purchasing decisions more than anything else. “I might need to build an emergency shelter or split a log” are some of the typical responses to that question that I receive, but the truth is often a lot more boring than people want to admit. What Do You Really Use A Knife For? Pretty manly stuff eh? These are all typical reasons why we need a small, lightweight knife when we’re in the back country and they’re are all valid. 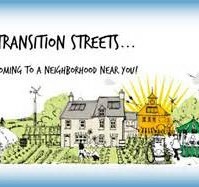 There will always be those of you that want to plan for every eventuality and carry something a little more substantial, or those of you that just like bigger blades. I get it and that’s fine with me, I can dig that. 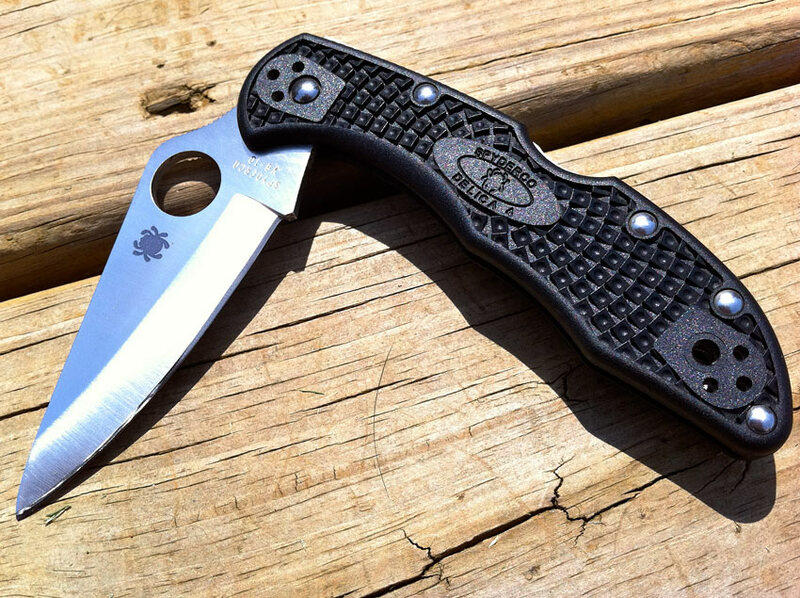 Even so, I’m going to go out on a limb here and suggest a couple of inexpensive knifes that will do all of the things listed above (and much more) and would be perfect for just about any backpacking or hiking trip you have planned. 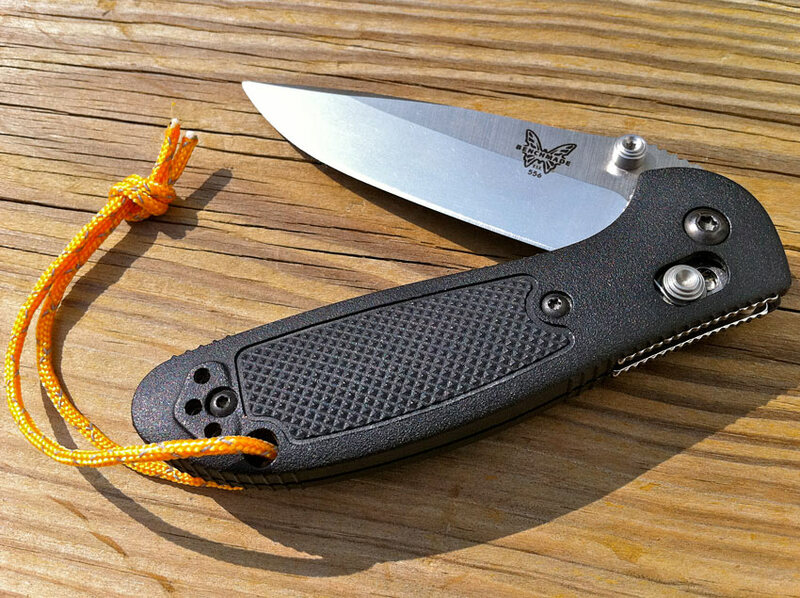 The mini Griptilian could be considered a pocket/EDC legend, but it’s equally well suited to the outdoors. The 2.91 inch 154-CM stainless steel blade is held firmly in place by Benchmade’s ambidextrous spring-loaded AXIS locking mechanism. The mini is a smaller version of the full size Griptilian with all the same features. Definitely a work horse of a knife and easily the nicest satin finish blade I’ve ever owned. If you’e ever owned or handled one you’ll know exactly what I mean. I’ve carried a Spyderco Delica with me daily for over 18 years, starting with a Clipit and none of them have ever failed me. My personal preference is a plain edge so that I can keep it sharpened easily. The Delica design has matured and improved over the years and the latest full-flat grind (FFG) VG-10 blades are perfect for slicing and cutting, or any of the tasks listed above. The price, size, weight and quality are hard to beat. An old faithful and definitely deserving of an honorable mention. Be sure to buy genuine Swiss Army or Victorinox and not one of the cheap knock-offs that can be found in just about every store these days. I personally favor the newer Alox handle models (Farmer and Cadet) with just a few basic blades and tools over the massive multi-function knives that Swiss Army are famous for. 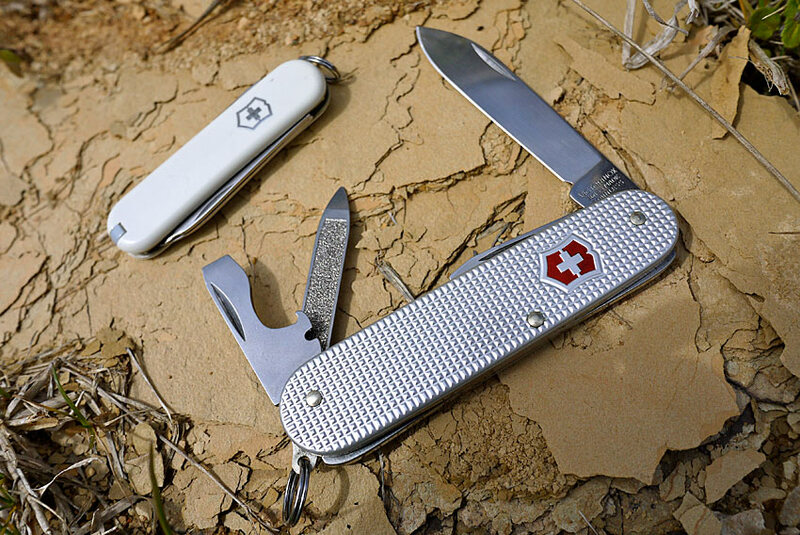 Also shown in the photo above is the smaller Victorinox Swiss Army Classic SD. 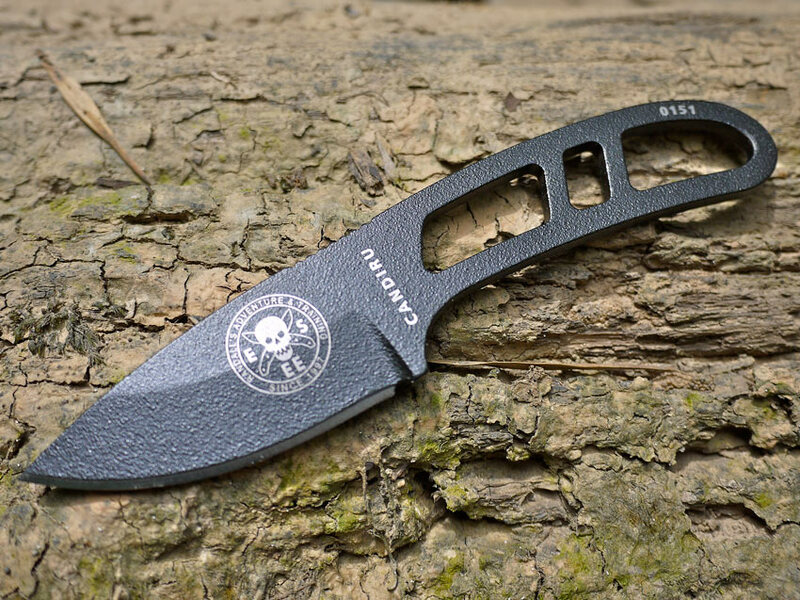 The Candiru is a 5-inch long skeletonized knife with a 2-inch blade made of 1095 steel. Don’t let the diminutive size or weight (1.7 oz) fool you, this is a beast of a knife and capable of far more than you think; just like its bigger brother the RAT Izula. Superb quality as expected from ESEE and an incredible value at under $50. I reviewed the Candiru here. 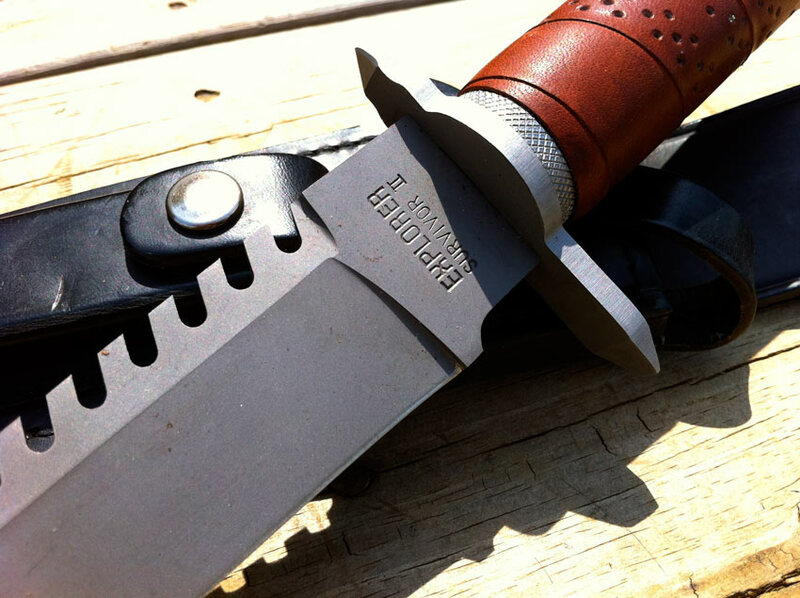 This knife is a collaboration between two knife-making behemoths. Another fantastic all-in-one skeletonized knife with a 3-1/4 inch 1095 Cro-Van carbon steel blade and recent favorite of mine. I hand-picked this knife for Ryan Jordan of Backpacking Light when he asked for me help to find a serious and capable knife for lightweight backpacking. He has been extremely happy with it. I feel it’s better than the Becker Necker because it doesn’t have the annoying bottle opener on the end of the handle to dig into your palm. Exceptional performance at an unbelievable price. This knife feature a 3.9 inch Sandvik 12C27 stainless steel blade with razor sharp Scandi grind. 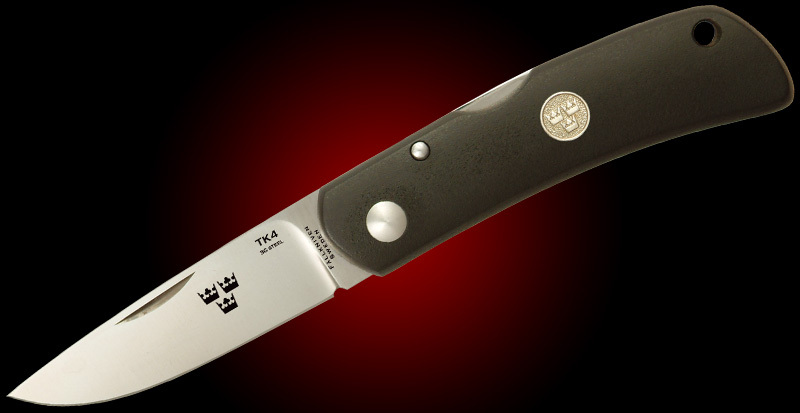 Now combined Swedish firesteel in the handle for easy fire starting in even wet conditions. 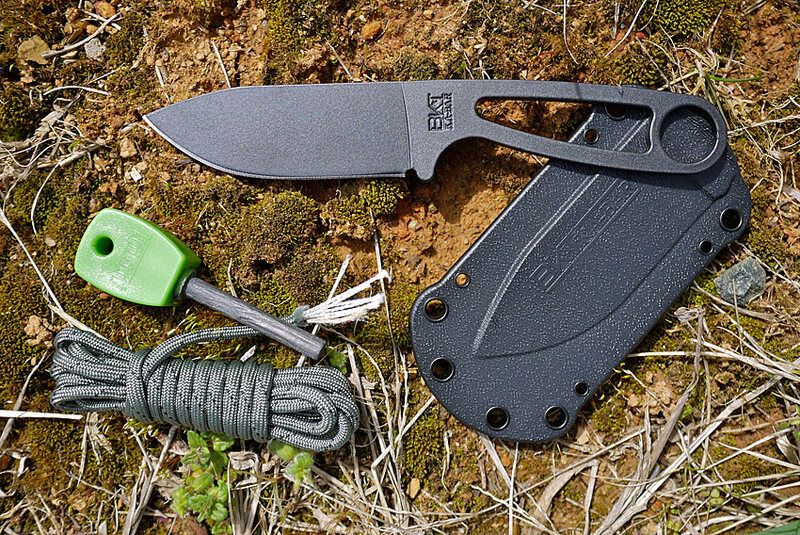 If you could have only one inexpensive knife for the outdoors, this Mora would be it. Obviously there are thousands and thousands of knives on the market that would fit the bill and do all of the things needed on typical backpacking or hiking trip. These are just a few of the knives I’ve personally used and that have proven their quality and reliability over the years. If you have one of these knives, or have used one of them, I’d love to get your feedback on it. If you think there are other knives that deserve a mention in this category, please leave a comment below and share with all of us. Editor-in-Chief’s Note: Brian is an avid lightweight backpacker and author of the popular Brian’s Backpacking Blog. 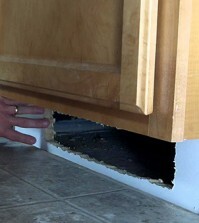 Originally from Southampton, England, Brian has lived in the US for over 15 years, finally settling in North Carolina. His love of the outdoors started at a very early age, almost as far back as he can remember. 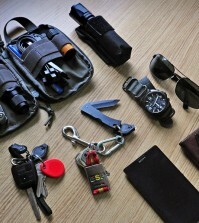 Now he spends as much time backpacking as his work schedule and family life will allow. Be sure to check out his blog for other great backpacking tips & tricks and gear reviews.